With a bit of planning you can have the most incredibly luxurious, yet affordable, end to your motorhome holiday in France… Here’s how! The second to last day of many of our clients’ holidays seems to be one of travelling back from their adventures, getting the motorhome ready to bring back to the depot, and starting to think about their return journey home. After spending weeks, or possibly months away, I think it would be a great idea to bring your holiday to an end with a bit of luxury, lavishing some TLC on yourself and your fellow travellers. What’s the best way to unwind from the hustle and bustle for a while and just chill, so that you’re totally relaxed and ready for the journey home? 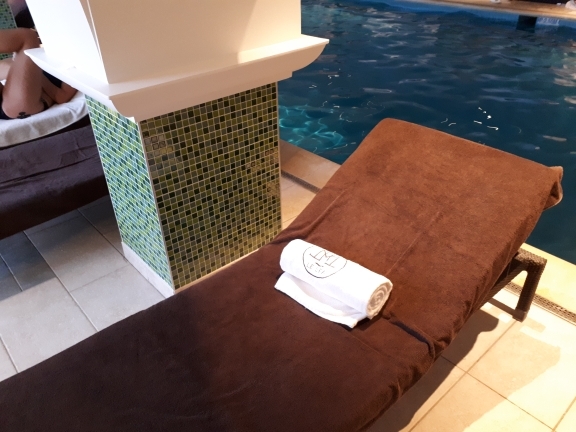 A little time in the spa of Hotel La Cote Saint Jacques! 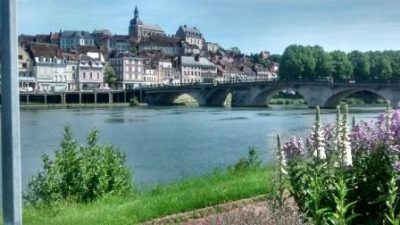 This hotel is just 20 minutes away from the FMH depot, in the beautiful, riverside town of Joigny. There’s a perfectly located rest stop for the motorhome, in the little campsite nearby, which is less than a 15-minute walk away from the hotel, down quiet back lanes along the riverside. I met Daniella last Saturday afternoon and she took time out to show me round the spa. With a stunningly unimpaired view overlooking the river, Daniella explained that the spa has a swimming pool with soft lounge beds, a separate jacuzzi and, down a flight of stairs, a steam room and gymnasium, all available for the day at just €38 for non-hotel guests from 9am until 8pm (Mondays to Fridays only). There are also treatment rooms available where you can book a series of treatments, starting at €55 for a 30-minute massage. Daniella advises that if you’d like to book a treatment on your day, it’s probably best to book at least two weeks ahead to avoid disappointment, especially in the peak holiday seasons. 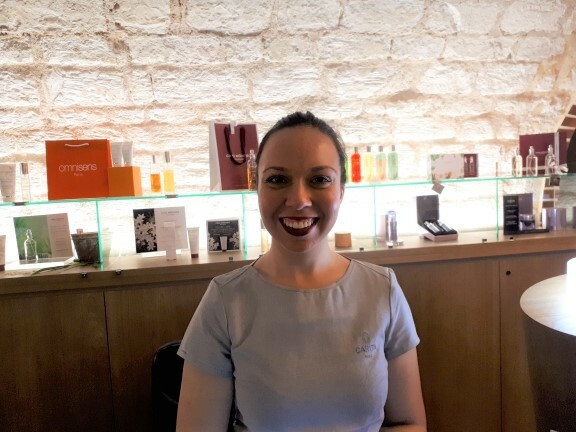 They offer a choice of three top-quality French skincare products: Carita, Cinq Mondes and Omnisens. Treatments range from facials to shower massages, to spending romantic times having a bath with your beloved and tasting a selection of desserts! If you’re not quite sure which treatment is most suitable, Daniella is there to help you choose what’s right for you and explained to me that, if you call her, or pop in on your way past at the beginning of your holiday, she can discuss what you’d like, then create a personalised session to meet your needs. You can also order a plate of entrées and a drink starting at €15 if you’re going to spend the day there. And talking of food…. 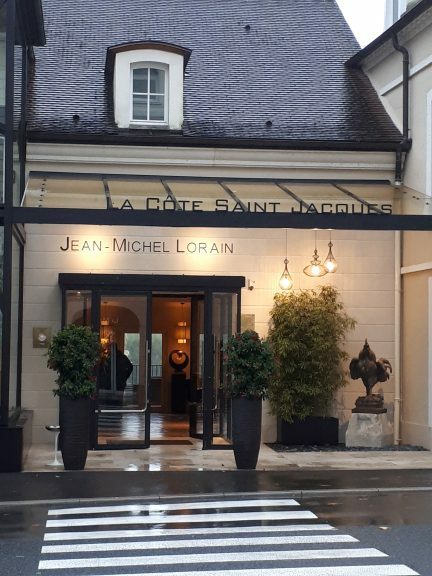 this hotel is the home of two-star Michelin Chef Jean-Michel Lorain, so you could end your day with a very special and decadent evening meal. The menus are on the hotel website. Again, booking in advance will be necessary. After spending the day or just an afternoon at the spa, you can stroll back to your motorhome and all will be right with the world. I can’t think of a better way to top off a memorable motorhome holiday experience.